NOW Lycopene features LYC-O-MATO, a patented tomato complex with a full complement of tomato phytonutrients, including natural lycopene. 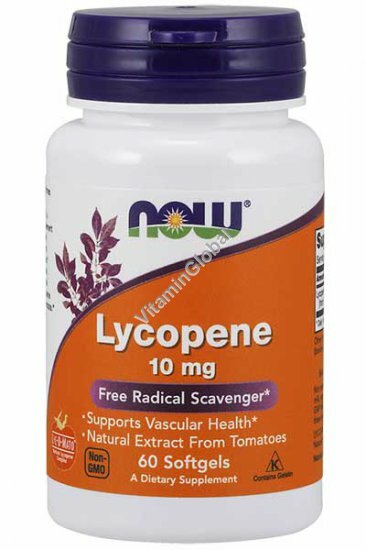 Natural lycopene is known for its powerful free radical scavenging properties. Clinical studies indicate that Lycopene helps to support cardiovascular health and normal immune system function. In addition, lycopene may aid in the maintenance of a healthy prostate. Not manufactured with yeast, wheat, gluten, soy, corn, milk, egg, fish or shellfish ingredients. Directions: Take 1 softgel 1 to 3 times daily with food. Available in packages of 60 Softgels.